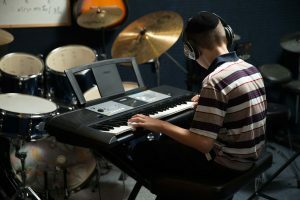 At Keren Hayeled we place much emphasis on enriching our children’s’ formative years beyond their regular school studies to include instruction in hobbies and vocations which will give them self-esteem and the foundations for becoming stable, productive members of society. 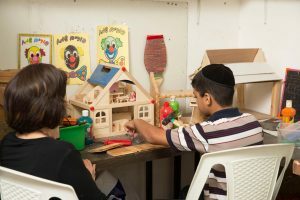 Particularly for such children from dysfunctional or broken families, we insist on providing the most state-of-the-art facilities in order to fill the natural void in their lives with meaningful and wholesome activities which will not only brighten their lives, but will also contribute to their growing into well-rounded, diversified individuals. 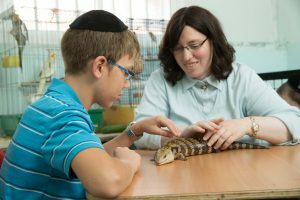 What’s more, through applying expert, modern therapy techniques to these traditional educational activities, Keren Hayeled’s specially trained staff promotes skills which will enable our children to succeed in many other ways in life. 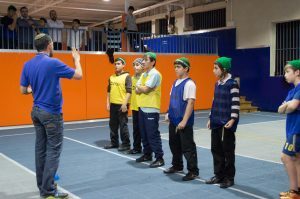 From therapeutically guided computer-literacy and electronics; carpentry and gardening; music, dance and drama; physical education and more, the children of Keren Hayeled get the most from our individualized and diversified extra-curricular programs and facilities. © 2017. All Rights Reserved to Keren Hayeled.